Progress was made in the tech world today, specifically in the cybersecurity realm, thanks to 34 global technology and security companies who took part in a Cybersecurity Tech Accord. The news broke on all major media outlets, and soon enough, social media sites like LinkedIn caught on. Why? Well, it may have something to do with the fact that this is the first time that a large group of companies has agreed on something so important like cybersecurity. The magnitude of this topic is so important because cybersecurity is affecting customers on a large scale everyday. The idea that of cybersecurity is one that can send shivers down the spines of customers everywhere, especially those who have fallen victim to online crime. Besides from customers, enterprises suffer when cybercrime strikes as well, because of the constant fear of failing to protect their own customers. “The devastating attacks from the past year demonstrate that cybersecurity is not just about what any single company can do but also about what we can all do together,” said Microsoft President Brad Smith.” Cyber Tech Accord reports. Unfortunately, even in the modern world we live in, there are very little solutions to cybercrime. Protecting your company and customers against malware malicious attacks by cybercriminals is not only a priority, it is a necessity at this point, and now, major tech giants are backing these efforts. Now, 34 security and tech companies came together in order to sign an agreement that vows to defend customers from the vicious world of cybercrime. “The 34 companies include ABB, Arm, Cisco, Facebook, HP, HPE, Microsoft, Nokia, Oracle, and Trend Micro, and together represent operators of technologies that power the world’s internet communication and information infrastructure.” Cyber Tech Accord reports. These companies have promised for a stronger defense against cybercrime, and to above all else, protect customers no matter what walk of life they come from, or how serious or dangerous the attack is by signing a tech sector accord. The accord is meant to help take a principled path towards more solutions that will defend customers from attacks. The tech industry has rallied around The Cybersecurity Tech Accord, by promising to be devoted to protecting against vicious crime online. First, all major companies promised to recognize that protection is needed among all customers and organizations. Next, the companies will not participate in any type of government cyber attacks against citizens and enterprises. Instead, the companies will protect against tampering with their products and services by being involved in each and every stage of the tech development that takes place. All 34 companies have agreed to empower technology, and encourage it among enterprises and customers, regardless of prior principals and beliefs. “The Tech Accord remains open to consideration of new private sector signatories, large or small and regardless of sector, who are trusted, have high cybersecurity standards and will adhere unreservedly to the Accord’s principles.” Cyber Tech Accord reports. Overall, this accord will help push positive efforts about cybersecurity forward. It will work on taking action against cybercrime online, and most importantly, will protect customers from attacks. The fact that top tech enterprises are coming together to agree on one movement, proves that this topic is not just important, but it is essential that it is taken seriously. 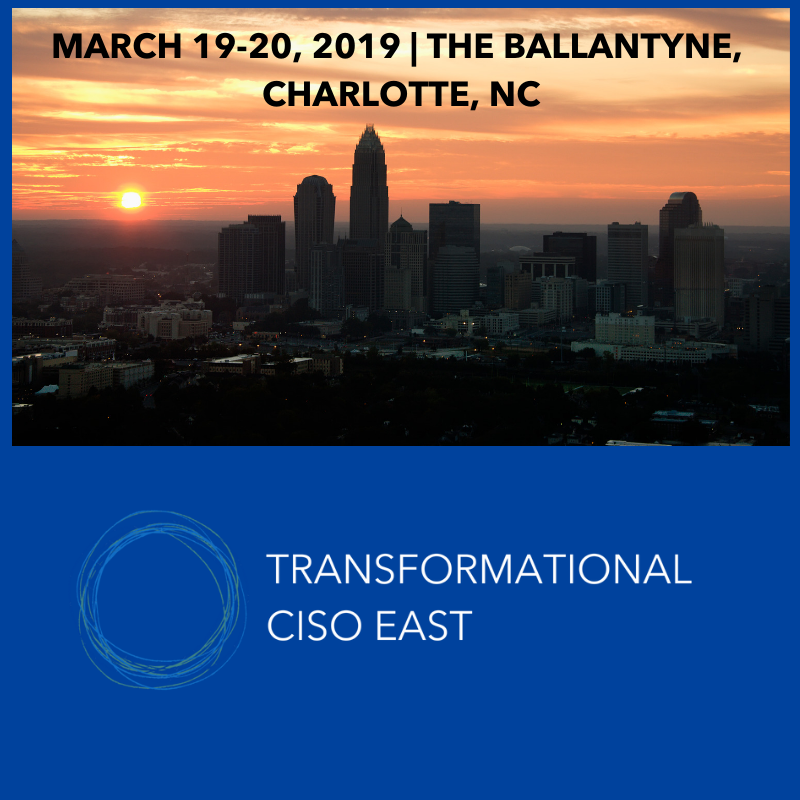 Due to the success of our National Transformational CISO Assembly, in 2019 The Millennium Alliance in partnership with our Advisory Board, is launching the first Transformation CISO East Coast. This exclusive Assembly will bring industry experts and the best solution providers to our CISO Members based on the East Coast. Should Company Culture Be Like a Cult? Hey, Alexa, Are You HIPAA Compliant? What Is A Data Company? Bleed a Creed: Is There Purpose in Your Veins? Do Algorithms On Social Media Determine Engagement? Interview with Maggie Chan Jones, Former Global CMO of SAP and Founder & CEO of Tenshey, Inc.
What Are The Habits Of Successful Professionals On Twitter? “It’s Hard To Believe How Far Millennium Has Come in Just Five Short Years” – The Millennium Alliance Turns 5 Today! Leading the Future Generation in the Changing Global Technology Era, A Conversation with Rhonda Vetere. How Can Financial Services Connect To Their Customers? As technology grows, banks must adjust their strategies in order to effectively create relationships between their customers. Will bots be the final breaking point for the internet? Big Panda explores IT Ops Reporting & digital transformation within businesses in their latest whitepaper. Check out our latest interview with Ted Wright, CEO of Fizz. From diagnosis and pathology, healthcare’s reliance on data accuracy and utilization makes it one of the most exciting frontiers of artificial intelligence in clinical diagnoses. Experimental retail is emerging in the retail sector as e-commerce sites like Amazon rise, creating a new kind of customer who is expecting more. How Does Brand Packaging Influence Consumer Behavior? Are Passwords a Thing of the Past? Digital Diary takes a look into the future of passwords, and systems that we are going to see in action going forward. With the large amount of data breaches and password theft, organizations are changing their security for higher level protection. A.I. and blockchain are two disruptive trends making a huge impact on many leading industries. When used together, more limits can be reached. Producing top quality content at a consumers’ pace is an incredible challenge for today’s creative teams and marketers – However, if you feel this way, you are not alone. Digital transformation is a big deal for businesses. It not only creates change within infrastructures but it enables enterprises to move forward when it comes to technology advancements. Digital Diary reports on the up-and-coming immersive virtual reality experience presented by the partnership between Samsung and NASA, which will let you take a mission to the moon starting this July in New York. According to 451Research, purchases made online are increasing more than six times as fast as those made in-store. Chatbots are an artificial intelligence tool that has pushed digital health initiatives in the healthcare industry by changing the way professionals in the sector communicate with patients and increase patient engagement. Check out our latest podcast episode! Is 2019 Finally The Year Of Artificial Intelligence? Federal government’s influence more impactful and expansive than expected, especially for the financial sector. conDati applys machine learning and data science techniques to developing solutions that transform massive volumes of customer, event, and transaction data into accessible insights and usable information. In their latest article “2019 State of the CMO: Cut the Buzz, There is Only One Priority”, conDati describes how the world of the CMO has been digitally disrupted, and how their priorities have changed. What’s in Store for Retail this Year? With technology being at the center of every organization, it is important to note the trends that are poised to reshape business this year. Millennium Live: A Digital Diary Podcast is now available on iTunes! 2018 has been an exciting year for the retail industry. Join us as we take a look back at the moments that shaped the sector. Cybersecurity in the C-Suite: What you need to know and what questions you should be asking. Believe it or not, millennials are the key to implementing successful digital transformation. You can expect AI Tech like Siri and Alexa are going to become more useful and a bigger part of our lives in the upcoming year. This past summer, Digital Diary sat down with Jason Pierret, veteran Healthcare Strategist and Digital Leader in creating and managing innovative strategies that build credibility for companies and organizations in the Healthcare industry. Is Dropshipping Right for Your Business? The top Brands to Watch in 2019, one brand for each letter of the alphabet. With our upcoming Digital Retail and Marketing Transformation Assemblies in February 2019 approaching, Skava’s CEO, Arish Ali, shared his insights into the changing retail industry and how executives can stay one step ahead of digital innovation going into 2019. In Forrester’s new report, they explore the growing data assets of healthcare organizations (HCOs), and how they turn them into customer-level insights. We’ve released another great Digital Diary podcast episode for you today featuring marketing expert, Jim Stengel. Listen here. Millennium Live, a Digital Diary podcast, is the only podcast dedicated to bringing the latest Digital Business Transformation content to C-Suite Executives from North America’s most progressive industries, available exclusively on Soundcloud. Listen and Subscribe today. Disney CEO Robert Iger has proven in the past that he can build a content empire, but the use of technology in Disney’s successful track record lacks. Is Social Media the New Television? Is Social Media the new television? Digital Diary dives into the socially-based marketing phenomenon that has catapulted businesses into the new era of digital transformation. How Are Retailers Preparing For Black Friday? Digital Diary takes a look into the new idea from Digital Jersey – Digital Academy Enterprise. A new schooling system where youth will gain skills in all things technology in order to be successful in our digital age. Do We Understand Lean Deployment in Healthcare? Posted on behalf of Researcher and Author, Aravind Chandrasekaran, PhD. Do we understand lean deployment in healthcare? 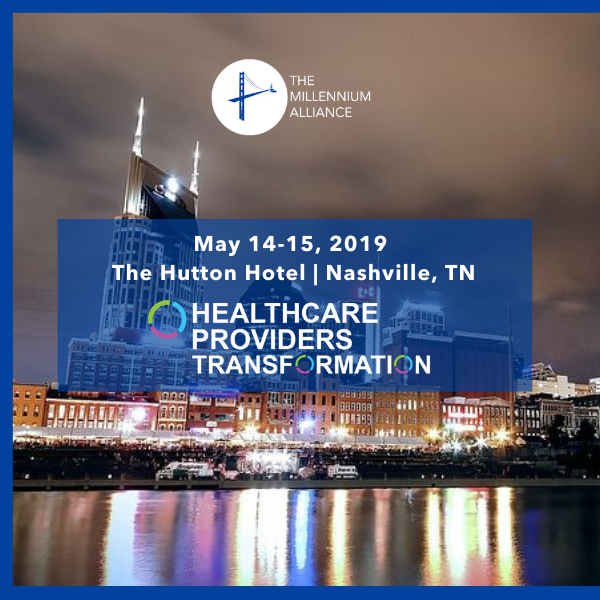 Deploying operational excellence in health care minimizes unnecessary variation and frees up time to cater to a highly variable population in terms of illness, economic background, language and more. Marketing to someone who is constantly online is a challenge for most marketers in the modern space. However, with the sheer amount of information we consume every single day, you have to find ways to stand out above the noise. Digital Diary reports on the new demands of the new generations in its latest post. Originally posted on KelloggInsight, four of the biggest marketing experts dis­cuss CMOs’ unique oppor­tu­ni­ty to dri­ve growth and col­lab­o­ra­tion across their companies. The marketing and financial services industries are certainly making strides in digital transformation, but the road ahead remains long, especially when the two powerful sectors look to work together to transformation business strategy. HealthGrades has released a list of hospitals that have proven to be the top in the country. Among these organizations, they have a few common positive qualities in common. interconnected devices and systems that are powering the modern workspace. New ways of communication have been making their way into healthcare. The high interest and popularity of voice assistant’s like Alexa has given healthcare a new light, and that is why 2018 has been the year of the voice in the ever-growing sector. Let’s Think: Why Would an Innovative Company Want to Work with a Bank? Innovation sounds like such a good thing. Until you are in front of it. Innovation in Financial Services is has been talked about for some time, but the question remains, how can a bank get a young and innovative brand to work with them? Can Artificial Intelligence Overcome the Hype to Help Cybersecurity? Gartner Released New Technology Predictions For 2019: Does This Scare Executives? Advisory Board member Denise Lee Yohn explores the relationship with Marketing and HR, and highlights why Hootsuite has become a change agent in the industry in her recent article on Forbes. Weekly Roundup in Healthcare, Retail, Marketing, Security/Enterprise and more! “Hey, Siri”- How is Voice Technology Impacting the Future of Search? In today’s new digital era, marketing has become so competitive it is important to always stay ahead of new trends and technologies that are emerging. The Digital Diary reports on how voice searches are the newest trend that is likely to become a staple of in not only the marketing industry but in all industries. The entire retail industry has been gearing up for the biggest, and most wonderful, time of the year: the holiday season. It is critical for brands and retailers to take advantage of this surge in shopping to exceed their sales goals at the end of the year. Weekly Roundup in Healthcare, Retail, Marketing and Security. Last week, CVS Health and Aetna received approval from the Department of Justice for a $69 billion merger that will change the face of healthcare in the United States. The merger comes at a time where costs continue to rise with several organizations fighting back against those rising costs. Members of our Advisory Board features in our latest blog post to focus on why the merger came into play, and how healthcare will change when the merger comes into effect in the future. The buzz of AI-powered marketing is had to ignore: It is the trend that is capturing the interest of all industries, especially in marketing. Read our latest post to learn what AI-powered marketing can do for your business this year. Do You Know The News Rules of Influencer Marketing? Happy Hump Day! The impact of the ever-growing influence of influencer marketing this year – pun intended – is substantial and cannot be ignored. Read our latest blog post to catch up on the new rules to learn how to optimize the influencer in your business. How Has The “Sharing Economy” Changed Financial Services? The sharing economy has already revolutionized industries by decentralizing asset ownership and using information technology to match providers and users. Digital Diary shares current thought leader and EVP of Industry Initiatives at IAB Anna Badger’s recent article from Variety on how digital content has revamped the industry. Can Innovation Be Just Too Darn Fast? President of NostaLab, John Nosta explains why behind innovation lurks hypermetathesiophobia. Michael Coates, CEO and Co-Founder of Altitude Networks sat down with Digital Diary to discuss implications with the cyberspace and inevitable security attacks, as well as giving insight into his time as CISO at Twitter. Financial services are increasing its spending on blockchain technology this year in comparison with previous years, demonstrating that the finance sector is increasingly becoming more serious over the matter. What Are The Most Popular Items Consumers Shop For Online? As a retailer, understanding what your consumer is shopping for online can position you to focus on the most important items as major selling points for your business. Digital Diary takes a look into the biggest skills gap in today’s world – cybersecurity. With increased data breaches and risks all around, what should companies do in order to gain knowledgeable and trained employees? The CIO is adapting with digital transformation, as technology takes over the workplace and changes the way businesses carry out everyday functions. 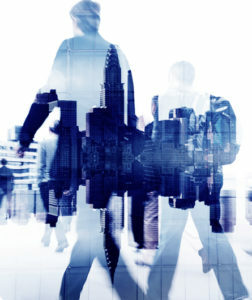 As the roles of business professionals change, the role of the CIO is the future. Rebranding your business can be a tricky task, but if you keep your team and clients in mind, it can be done in a way that makes your company stronger. 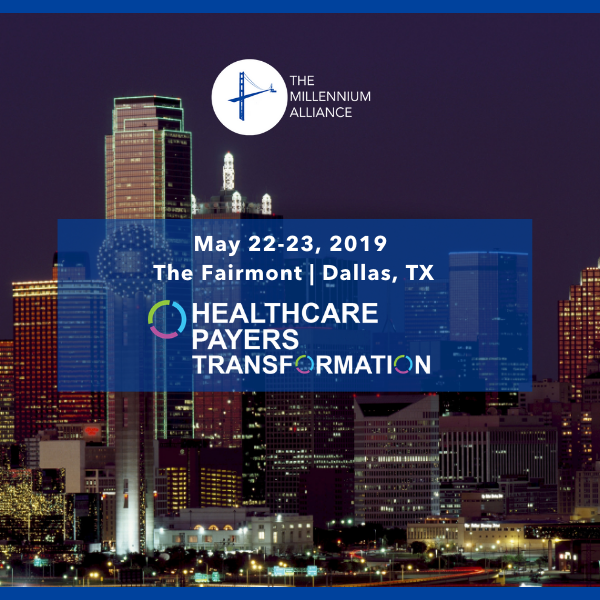 Transformational CMO is 3 weeks away! Leading up to the highly anticipated assembly in Denver, Digital Diary had the opportunity to interview Dipanjan Chatterjee, VP & Principal Analyst at Forrester. Check it out! Are Subscription Services The New Face Of Retail? Subscription businesses are rapidly growing in the retail industry, as they target the growing and evolving customer base in the market. Digital Diary reports on the increasing influence of Generation Z across all industries, especially marketing. It is time for marketers to change their strategies in order to confront and meet the changing demands of this new generation. Digital Diary had the opportunity to sit down with Wes Nichols, Board Partner at Upfront Ventures and the upcoming keynote speaker at the Transformational CMO Assembly in Denver. Check it out! Digital Diary takes a look into Facebook’s potential plans to focus in on user health data to improve medical care. The company is aiming to work with hospitals and other health organizations to access patient data and link it with anonymous Facebook accounts. This could mean increased patient care in the future. Are Executives “Sleeping” on Cybersecurity? Experts Say Yes. The Millennium Alliance announces the redesign and relaunch of Digital Diary, the only blog dedicated to bringing the latest Digital Business Transformation content to C-Suite Executives from North America’s most progressive industries. The Digital Diary started out as a blog and grew to a bi-weekly newsletter, digital magazine, video series, podcast, and now its own domain. How Important Is It For CIO’s To Be Good Leaders? CIO’s are the new leaders of the world, as we continue to adapt and head towards digital transformation in enterprises and beyond. CIOs must be equipped to wear different hats, leadership being one of them. Hey Alexa, what’s the best voice strategy for brands in the digital age? Read our new article on keeping your brand relevant in a voice-dominated world. The power of Amazon is difficult to ignore in the midst of the shift in consumers moving from in-store shopping to online shopping. Digital Diary reports on why all brands need to incorporate Amazon into their business strategy to sustain competitive advantage at the end of 2018. The influence of technology on an enterprise is apparent. As a business leader, you cannot ignore the influence of trends on business models to employee satisfaction. As an executive, you must be aware that technology will only work if your company’s culture works with it too. The Millennium Alliance is thrilled to announce the launch of the new Digital Diary blog. Our leading content platform has taken on all things new and exciting, and we are so excited to be able to share this with you, our valued reader! Look, we know marketing isn’t easy. However, here are 5 things that successful marketing leaders do in their downtime outside of work hours. Give it a read, it may be what you least expect! Digital Diary 2.0 is finally here! Read up on today’s top content right here and all in one place. Let’s take a look into the healthcare revolution. We’ll dive into the trends happening right now that we need to watch out for in order to prepare ourselves for the future. Real-time push payments are emerging in the financial services sector more than ever before, especially when it comes to catering to the on-demand customer, offering convenience. Co-working is a rapidly expanding the retail industry and it’s not just changing workspaces, it’s changing all adjacent industries in the era of retail transformation. We were thrilled to sit down with Jim Stengel, President/CEO of The Jim Stengel Company and Keynote Speaker before the Digital Retail & Digital Marketing Assemblies in Dallas this past August. Yes, as you already know, it is the era of digital transformation. So, how digital transformation is affecting the role of the C-suite in the marketing industry? Read and find out! What Has The Impact Of Cloud Computing Been Thus Far? Cloud computing has made a large impact in a variety of industries, changing business operations and functions with efficiency and agility. In today’s financial sector, the role of the financial leaders continues to expand through their willingness to adapt to different sectors of business from human resources to information technology. Digital Diary takes a look into the burning question of retail: Will robots be the future? UK retailer, Marks & Spencer, recently announced its collaboration with Twilio, in order to use robots at their call center. We’ll look into the benefits of this non-human interaction and think about the future of retail. The increasing involvement and implementation of Telehealth in hospital system-wide care is catching on like wildfire across the industry. With Telehealth, hospitals can provide a payment model that not only works for them, but for the patient. Customer experience is not a new concept. In this blog post, Digital Diary writes on why brands and marketing leaders should embrace experiential marketing in the digitally connected world.